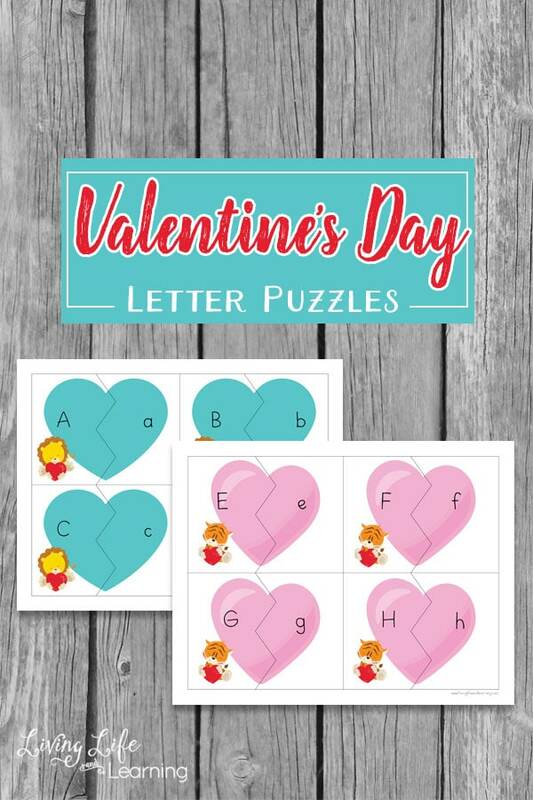 Have tons of fun adding with these cute Valentine’s day addition cards. Practice adding from the teens up to 30 with these cards. 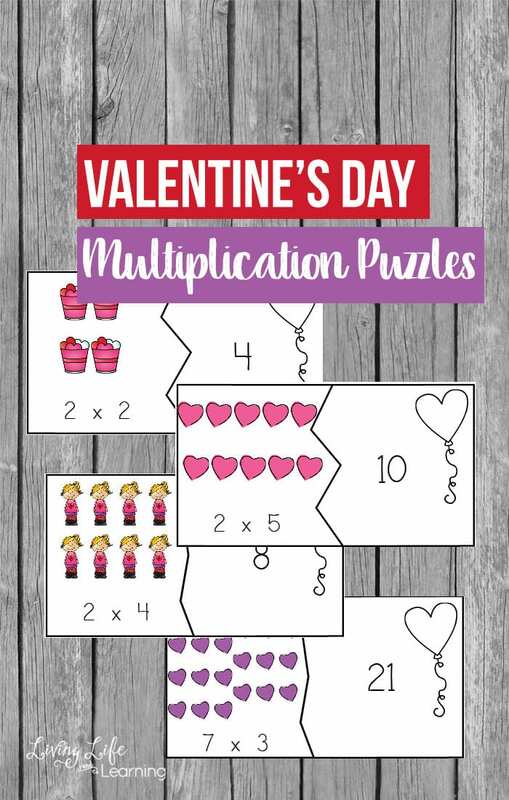 It’s a fun way to do math without those boring worksheets. 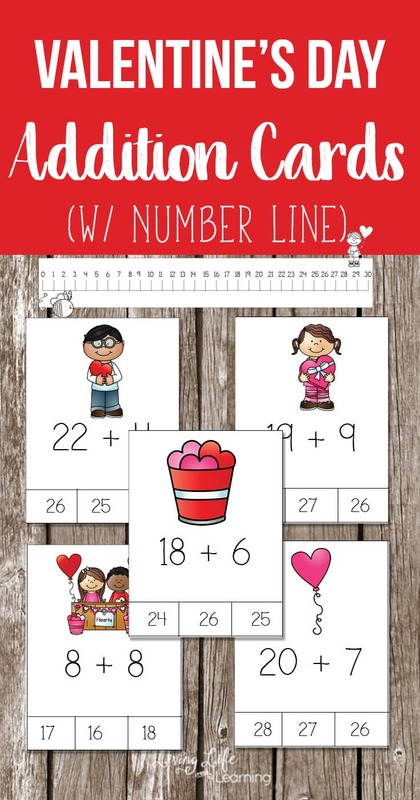 I’ve even added a number line to help your child with the math questions. 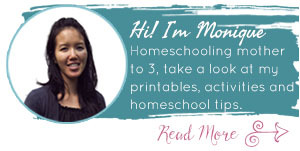 Print out the cards onto paper or carstock, then laminate them so they last longer. Cut them out with scissors and store them bound with an elastic or in a ziploc bag. You can use clothes pins for the child to clip onto the correct answer or you can have them place a pom pom or glass bead on the correct answer. If it’s laminated you can have the child circle the correct answer with a dry erase marker. To extend this activity, I always like to throw in any books related to your theme. Those can serve as jumping off points to create book-related crafts, sensory bins or fun Valentine’s day cards that are homemade. I’m a huge fan of handprint crafts to capture your kids’ tiny handprints as keepsakes. 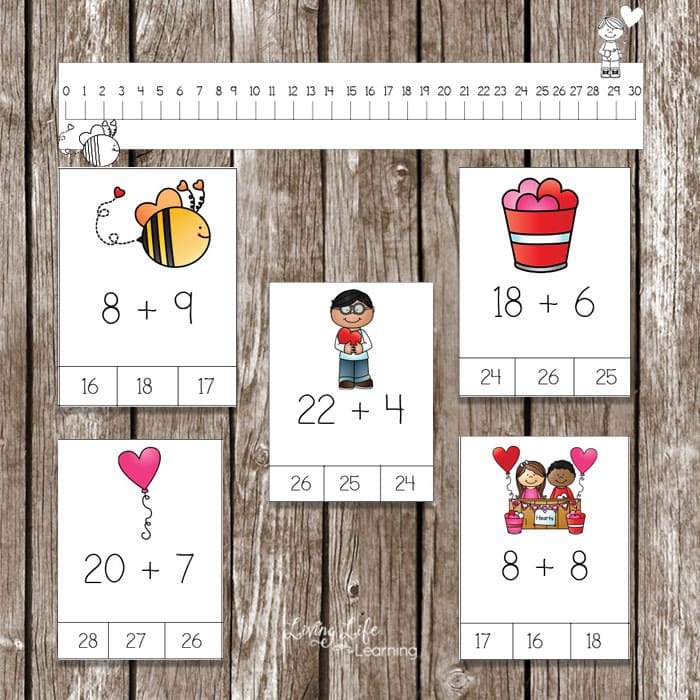 As we move into the teens and twenties for addition, it gets a little more complicated for little ones so I added a number line to help your kids figure out the answers. Teach your child to count on from the first number rather than starting all the way from 0. 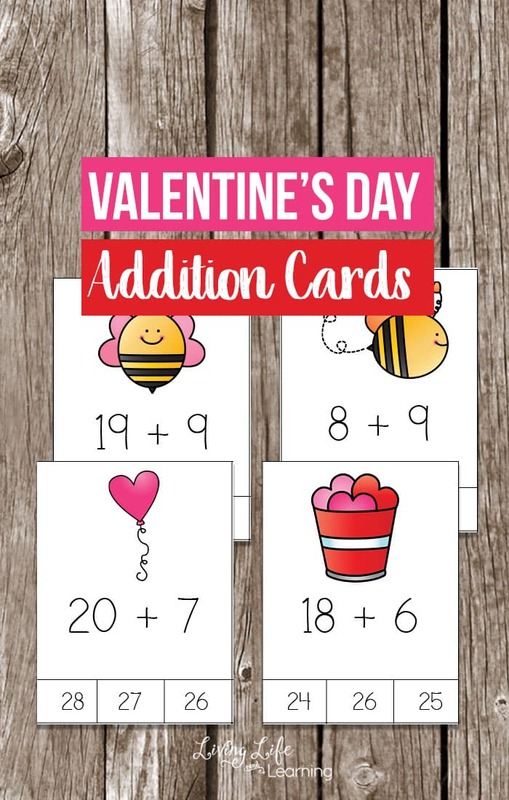 Grab the addition cards here to print them out to use with your child.